One of the biggest buzzwords of the modern age is “machine learning.” It certainly sounds cool and futuristic, but what is it, and how is it relevant to the hotelier’s life? 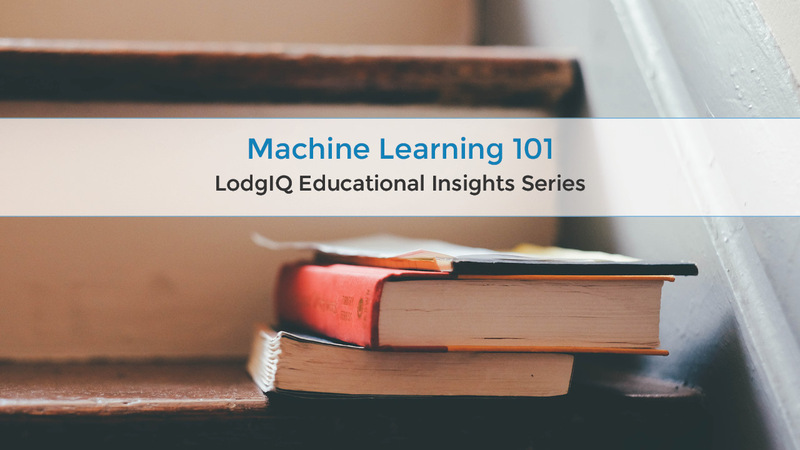 We’ll answer that in this educational blog we’ve playfully named Machine Learning 101. Simply put, machine learning is the ability for a computer to examine giant swaths of data, examine it, and produce results that become more efficient or better over time. Machine learning computers adapt and improve their algorithms without human interference, meaning they do not have to be explicitly programmed. The ability to self-learn is kicking off a digital revolution in industries throughout the world such as self-driving cars, computers that respond to human speech (hello Siri! ), and even your Netflix cue. The modern machine learning era started 20 years ago this month when in May 1997 the IBM® Deep Blue® computer beat a world chess champion in a six-game series. It was an achievement 50 years in the making, as computer researchers had gravitated toward this concept since the first computers debuted in the 1940s. In the lodging business, machine learning is helping increase hotel profitability by creating modern revenue management trends by finding insights that generate more hotel revenue. It’s essentially reinventing how hoteliers decide to price their rooms on any given night. Rather than set prices for a room night based on traditional methods such as individual hotel historical data and seeing what competitors are charging, machine learning enables hoteliers ways to generate more hotel revenue by better understanding true market demand, not perceived demand. It’s as dramatic a shift like Europe discovering the “New World.” Suddenly, Europeans were able tap into new resources and opportunities afforded by the revelation the world is a much bigger place then previously realized. It’s a new world for hoteliers too. Machine learning uncovers opportunity in ways humans are not designed to do. Machine learning does the hard work for hoteliers, all at a speed the human brain could never achieve. What would literally take years for a person to understand, modern computers running the right software can figure out in moments. The machine sifts through the Big Data, automatically determining relevant and irrelevant data, weighs the importance of each piece of data in the pricing puzzle, and incorporates it all into a forecast revealing perfect pricing. In our next article, we’ll discuss how machine learning crunches unimaginable amounts of data to reveal ways to generate more hotel revenue. Have questions about machine learning? Drop us a line. We’d love to hear from you.